There is little doubt that Vanir is one of the best Viking-metal act coming out of Denmark, with a discography that ranges from folk to death to black metal influenced Viking metal. 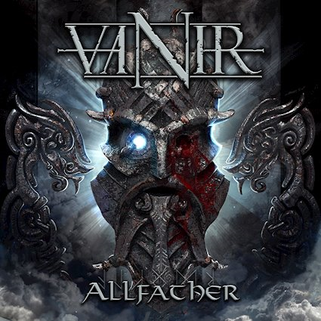 Since the formation of the band in 2009, Vanir have released four full-length albums, with their fifth effort, titled “Allfather” set for a February 15th release, via Mighty Music. Running the gamut of extreme metal with “Allfather”, Vanir have once again created a melodic death / black metal experience with a sharp focus on melody and brutal riffs, and alternating between the Danish and the English language. 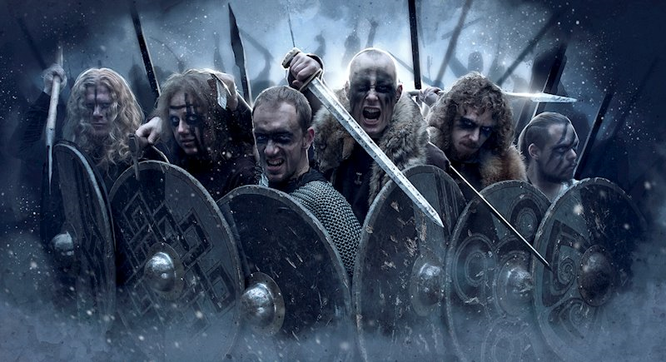 The themes of the album’s lyrics are found in the Nordic mythology as well as history, ranging from Valhalla’s Hall to the Germanic battlefields. “Allfather” is a celebration of the old Danish king Svend Tveskæg (and not about Odin, as I have initially thought). Managing to avoid repetition and formulaic songs (as most bands that tackle this style invariably do), “Allfather” showcases the band’s creative prowess, while also keeping the listener engaged in the flow of the music, not knowing what to expect from one track to the next. 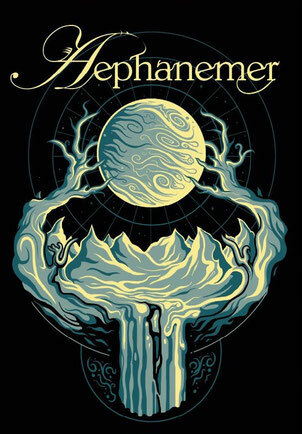 And this is by far the album’s strongest point, as we get songs that have a hooky melody to them, some that are more black metal or death metal oriented and others have some folky elements thrown in the mix. And Martin Holmsgaard Håkan’s vocals fit perfectly with the atmosphere of the songs, being brutally harsh most of the time, but also quite melodic and intense in key moments. And the same goes for the guitar lines, which are pretty well crafted and executed, giving the album a powerful and dramatic backdrop. Actually I have to say I am pretty impressed by the whole instrumental side of this album. Opening tracks “Væringjar” and “Svoldir” are both sung in Danish, but don’t let that stop you from enjoying some quality black metal, especially on the brutally sounding “Svoldir”. Switching to English, the powerful “The final stand” and the excellent “Shield wall” have a rather catchy and up-tempo melody to them, and would work well in a live setting. Nestled between these two songs is the epic 8-minute-long, progressive track “Ironside”, about the adventures of Ragnar’s son, an important figure in Viking history. “Fejd” goes back and forth between melodic cleans and death metal growls, giving the song a fair amount of intensity and dramatism, while “Thor” is as wild as it is catchy. If the guitar riffs and melodies in “Bearer of the Word” are really great (especially the intro), and carry the song forward with gusto, the bass lines throughout “Ulfhednar” and “Einherjer” are rumbling like there’s no tomorrow. “Gravfærd” closes the album on a very powerful, though ominous, note. I do believe Vanir are Denmark’s best kept secret, when it comes to high quality Viking metal, as “Allfather” has proven to be a very well-crafted album, quite diverse yet cohesive and coherent, that can easily appeal to both black metal fans as well as death metal fans. It is indeed a powerhouse of an album, and it does require a few spins to fully grasp it. Proceed with caution. All hail the Allfather.